There have been some exciting changes happening at the Priory this autumn. We always have a rolling program of refurbishments ongoing to ensure the building and rooms are kept looking fresh, but this is so much more than that! As of 1st September 2018 we have rebranded simply as the Priory, taking off the ‘hotel’ title. We now class ourselves as a luxury Bed & Breakfast and self- catering house hire. What was our function room has been updated to become a modern, sleek kitchen and dining space. 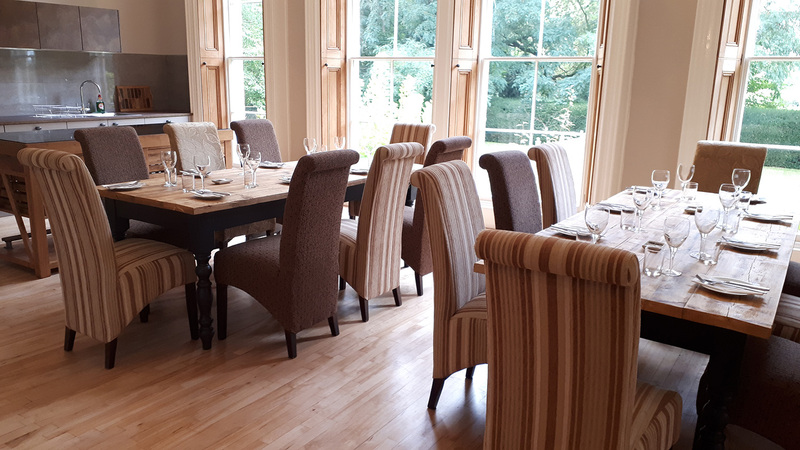 This room is multi-purpose; breakfast room for B&B guests – where we cook your breakfast in front of you, heart of the home for house hire guests, casual meeting space for conferences. It allows our customers much more flexibility and a space that feels comfortable and homely. The old dining room is transformed into a cosy lounge with armchairs and sofas to snuggle up in. This space can also be adjusted to seat up to 30 at round tables. This is perfect for larger afternoon tea groups, funeral teas or a more formal meeting space. Our snug bar is a relaxed affair and an extension of the lounge area. 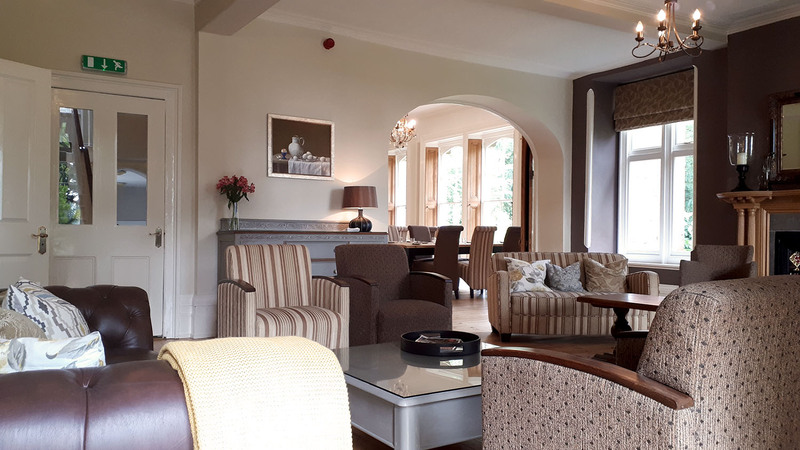 We are licensed so our B&B guests can purchase drinks from our selection or self-catering house hire guests can stock the bar with their own choice of drinks. But for those of you who knew and loved The Priory Hotel, we are not so different. Chris, Chris & Nadia are still in charge and our quality and care is exactly what is driving this business forward. Our bedrooms, although refreshed, are what you have come to expect from a stay with us, stylish yet comfortable. 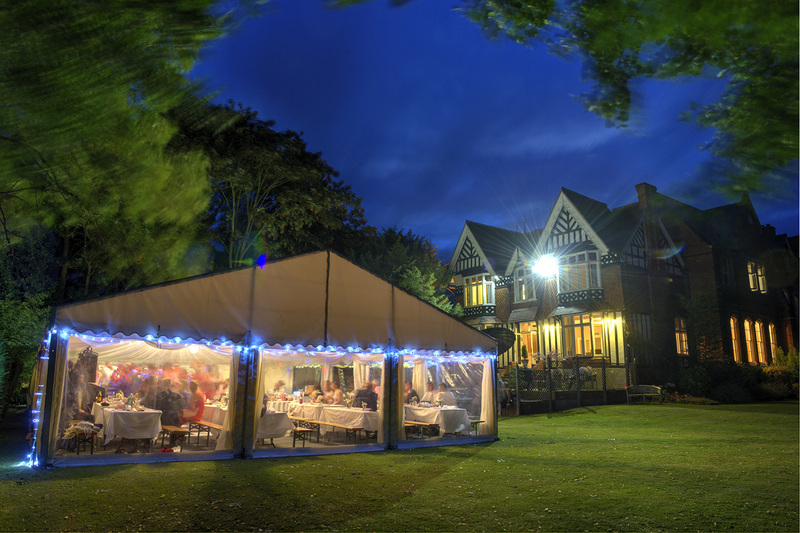 We have an excellent reputation for our weddings and these will continue, utilizing our vast lawns with marquees and allowing the close family the use of the main house. This gives our wedding couples more flexibility to create the day of their dreams. The Wedding of Sarah Stephenes and Josh McNally at the Priory Hotel, Hereford. Unless otherwise stated, all imagery by Gordon Elias of Gordon Elias Photography. We are proud of the changes that have happen at the Priory this autumn and we can’t wait to share with you the next stage in the refurbishment through the winter and into the spring*. *Our refurbishment is taking place in stages so that there is minimal to no impact to our customers.